Baños de Agua Santa, Ecuador is a great place to reboot your adventurous spirit whether its whitewater rafting down class III rapids, downhill mountain biking by a series of waterfalls, ziplining at nose-bleed heights through canyons, or paddling dugout canoes on the Puyo river in Amazonia. Downtown Baños is not quiet. It’s bustling year-round with gap-year backpackers swigging beers at downtown bars, travelers grabbing cappuccinos in Starbucks-like cafes, and vendors hawking guided tours from small shops lining the streets offering “just for you” discounts for those tackling the myriad of outdoor sports. For the more laidback traveler looking for a relaxing spa vacation, massages start at $25 and can be found on just about every street corner. For as little as $3 per person you can enjoy the healing waters of the hot mineral springs with temperatures up to 130 F heated by Tungurahua, the nearby active volcano. It’s a town that has successfully meshed extreme sports, relaxing spas, and an active Volcano. Expats love it—whether as a vacation spot, or place to settle amongst nature. 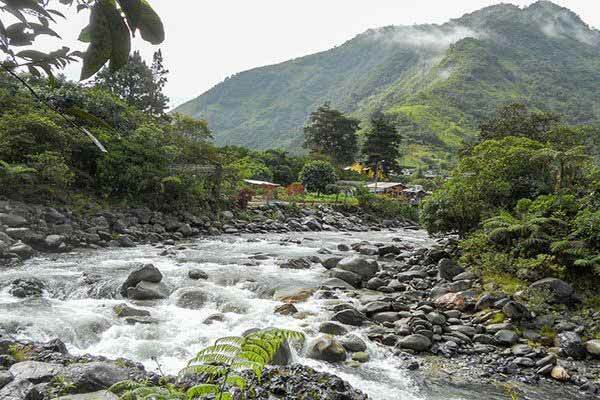 Baños is touristy, crowded, and not that scenic until you step just outside of town and you’ll see why it owns the moniker “Adventure Capital of Ecuador” and you will be stymied by its beauty. Baños de Agua Santa, which means “Baths of Sacred Water” is appropriately named, with more than 60 waterfalls, hot mineral springs, and rivers encasing the city. The population is less than 20,000 but more than doubles during tourist season—which is pretty much every day. The climate ranges between 55 F at night up to about 80 F during the day, even though it’s at an elevation of 1,820 meters (5,971 feet) but stays warm due to its proximity to the equator. It’s a mere three-and-a-half-hour drive south from Quito, Ecuador through the Andes, and the trip to get to Baños is worth the ride. The town seems to collect monikers and is also known as the “Gateway to the Amazon,” because it is the starting point to explore the jungle’s offerings including national parks, spewing volcanoes, and llamas who graze by the roads. It’s popularity as a tourist destination is marked by the more than 100 hotels ranging in prices from backpacker hostels starting at $20 a night to upscale haciendas nearing $100 for two, and loads of restaurants lining the downtown streets. The locals who live year-round in Baños are firmly planted in the tourist industry, except for the indigenous population who live on farms outside of Baños and supply the endless lineup of fresh vegetables and fruits, roasted pigs on spits, and textiles which are hawked at the farmer’s market located downtown. 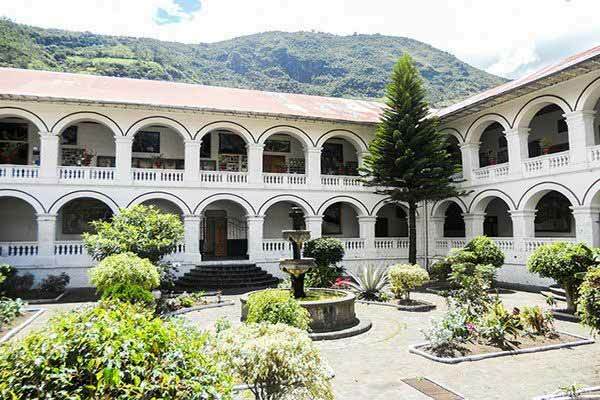 Because it’s a tourist destination, the amenities are top notch, with strong internet, medical clinics (it is an extreme sports town after all), and a hospital in Ambato, which sits an hour away. Spanish is the predominate language so arm yourself with Google Translate. Because Baños is international, you’ll hear German, Polish, French, Swedish spoken everywhere and there’s usually a friendly bi-lingual passer-by who will help with translations. There’s a large, modern Tia supermarket stocked with most things you’d need—fruit, meats, vegetables, canned goods, cheeses, dairy, snack foods, etc. so getting supplies is no problem. The variety of restaurants gives all types of dining opportunities—cheap options like KFC chicken for $5, hamburgers for $3, or grilled chicken cooked to order for $5 and up, to expensive fare at polished restaurants serving Argentine steaks, French Boeuf Bourguignon, or Italian fettuccini’s which will run around $10 to $15 for one, not including imbibing. You won’t go hungry because at last count there were around 100 restaurants lining downtown streets. Downtown Baños is easy to navigate with the hallmark location being the neo-Gothic Basilica Reina Del Rosario De Agua Santa built in honor of the Virgin Mary, who reportedly appeared at one of the nearby waterfalls, sparking the original construction of the church. The park fronting the church is the main town square, which is a place to hang out and swap adventure stories, sit outside at coffee bars and people watch, or eat at restaurants surrounding the square. It’s also the centerpiece of action where religious ceremonies, parades, and fiestas are held, so there’s always something fun going on downtown. The city size makes it walkable and you can make it cross town in just a 30-minute walk, so you won’t need a car, or you can grab a taxi to get around town for about $1.50. 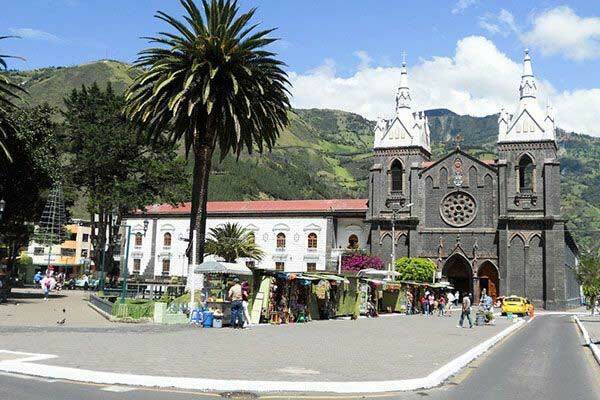 There’s a small expat community comprised of Canadians, Europeans, and U.S. residents in Baños and you can connect them through their Facebook page at Expats Ecuador Baños, https://www.facebook.com/groups/138970870018237/recommendations/, which is a great place for expats to exchange information and find out what’s going on in town. But there is no organized expat community for the approximately 200 expats living in Baños, and most expats meet others through mutual friends. 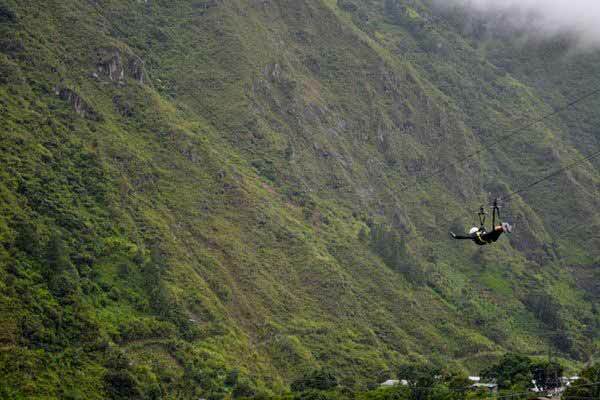 Baños attracts a different type of expat—ones who enjoys nature, adventure, and living a quieter life. Although expats are embedded in a highly active tourist environment, most tend to live right outside the city center for a less hectic environment where they can indulge in artistic ventures like painting, photography, and writing. There are a few expat-owned businesses including La Posada del Arte, the Stray Dog Brewpub, or Café Hood where you can meet expats. And an active expat group volunteers at the Fundación Arte del Mundo, a nonprofit foundation that operates an after school library and theater for local children. But most expats moving to Baños come there to be a part of an Ecuadorian experience, not to join expat communities. Most expats in Baños pay about $300 a month for a one-bedroom studio or $500 a month for a three-bedroom, two-bathroom apartment. Depending on the square footage and location there are plenty of options available. Most expats don’t buy, some attributing this to the active volcano which last erupted in 1999, but you can find reasonable real estate where a three-bedroom, two-bathroom home right outside of the city will average around $120,000. 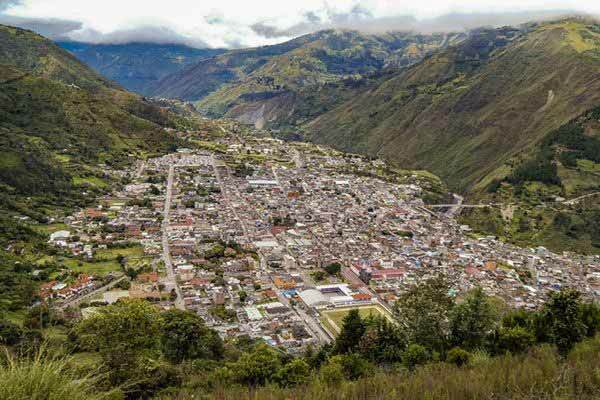 For buyers, because Baños is a popular international destination, real estate may be a bit higher than other nearby cities like Ambato, which is about an hour away. Rentals can be a challenge, as tourist grab up the availability pretty quick. But short-term rentals can sometimes lead to longer-term rentals. The suggestion is to get planted in a temporary rental and find an area you love, and start asking around if anyone know of a rental in the area. That’s why some expats live right outside the city, because its quieter, has better real estate with great views, while still being quite easy to get into town. It’s easy to get by on $1,500 a month in Baños. With the temperate weather there’s no need for heating and air conditioning. Even those who live right outside of the city find having a car isn’t necessary as it’s easy to walk into town, or take a taxi for around $1.50. Most appliances run off of propane gas, which costs about $1.50 for a large bottle. Internet runs around $25 for a starter package a month, and there’s plentiful Wi-Fi and places to log on, especially in the chic cafes around the Basilica. Groceries run about $300 to $400 a month, and electricity tops out at around $50 per month. You can get Netflix, Hulu, Amazon Prime, and YouTube channels to watch your favorite television shows. And if you get bored, just take a walk into town. 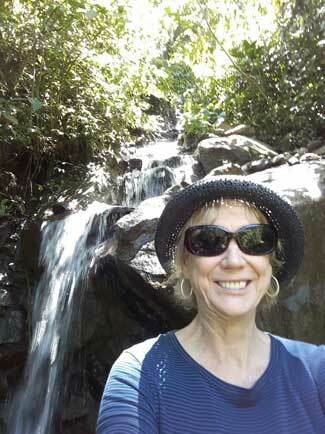 Living in Baños keeps you young and active. It’s not unusual to see retirees climbing in rafts, or hiking around the mountains…right along with a group of grad students from Germany making the rounds of the globe. Just outside the bustling city limits, there’s an opportunity to plant yourself in housing with spectacular views of canyon ravines, river gorges, mountains, and waterfalls. Which is why Baños attracts artists, photographers and writers, so they have a creative place to hone their crafts. All being said, this is a newly developing expat spot worth checking out. The city’s tourism business is booming. Real estate is still within reach. Amenities are great for a city so small. And nature is the main draw, whether its ziplining across between mountain tops or simply sitting on your balcony drinking coffee and listening to the birds. Laura and I are in our early 60s, and we are neither athletes nor daredevils. But we used to be. We come from an era where parents pushed you out the door at dawn and shouted, “don’t come back till dark.” We lived by the woods and a lake, and spent our days cane pole fishing for catfish and paddling our pirogues down small canals alongside slithering moccasins. We built forts in the woods, then got lost coming home, eventually retracing our steps back. Laura and Donna completed the 11-mile bike ride after surviving their tunnel scare. We didn’t live off the grid because there wasn’t a grid. My dad thought television was only for football, so we entertained ourselves with our creativity. We bounced between Louisiana and Texan relatives on the weekends, where we did everything outdoors from riding horses to camping and building fires from kindling. Without helicopter parenting, we were left to fend for ourselves and learned valuable lessons which helped us later in life. We improvised from what we had available and used our ingenuity to problem solve. Like learning to sail when our mom bought us a boat and pushed us off the shoreline… only for us to discover there was no boat plug and we were sinking. By the time we hit our 30s, we moved on to white water rafting in North Carolina, and hiking sections of the Appalachian trail. I backpacked through Europe alone while Laura married and started a family. Life started taking over and now, in our 60s, we had survived marriages, divorces, child-rearing, caring for aging parents, and working high stress jobs—but found ourselves weakened by life without the joy and adventure we once felt. That’s where Baños, Ecuador came in. We needed a reboot—an experience to recapture the joys of our youth. 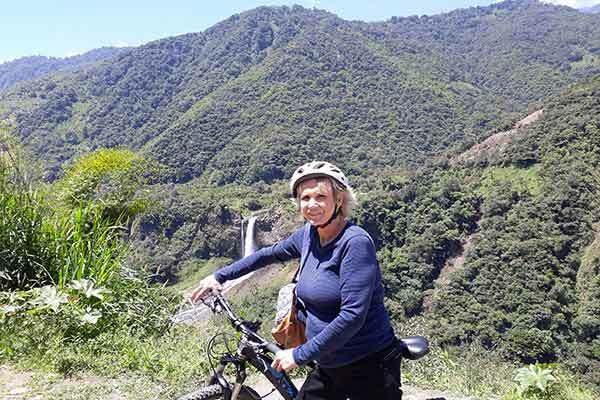 So I planned a vacation for us in Baños, the “outdoor adventure capital of Ecuador,” which included riding bikes through the mountains on a waterfall tour, hiking and canoeing in the jungle, and white-water rafting. This was our opportunity to reclaim our sense of adventure and show our mettle—even though we hadn’t seriously done something like this in maybe 20 years. Laura and I completed the 11-mile bike ride after surviving the tunnel and were treated to amazing views of non-stop waterfalls. The final waterfall leg on our bike tour included a hike down to the base of the spectacular Rio Verde’s Pailón del Diablo waterfall, so we stopped for a lunch of trout and empanadas before heading out. With heavy bellies and a beer between us, we started the hike down the mountain to reach the foot of the falls. “This is more like repelling,” I said of the steep descent. At the time, it didn’t quite register with us that we would also have to climb back up. Thirty minutes later we reach the falls which is 262 feet high, with powerful cascading water hitting the rocks and sending mounds of mist over us. Although the beauty was mesmerizing, when we looked up at our walk back up the mountain, we had tears in our eyes. An hour later we made it to the top, where we retrieved our bikes and placed them in the back of an old truck. We climbed aboard and huddled on rickety benches and began our journey back into town. Later, we dragged ourselves to massages, an hour of bliss for $25 at the Monte Selva resort. We ate peanut butter sandwiches and potato chips for dinner because we were too tired to do anything else. The next day we hiked through the jungle to yet another wonderful waterfall, surrounded by European college kids on their gap year backpacking sabbatical. They stripped down to their swim suits and dove into the ice-cold water and flipped around like dolphins. We didn’t know to bring bathing suits, so we lounged around the falls and soaked in the view—wishing we were brave enough to skinny dip, but there are some things better left unseen. We visited a tribe in the Amazon and got our faces painted like warriors. 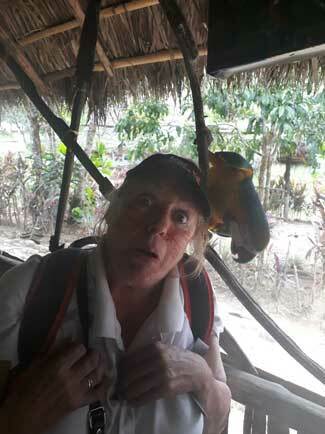 A blue parrot sat on my shoulder while trying to grab the bungie holding up my ponytail, as we took turns learning to use a blow gun. Then we sat in a dugout canoe while our guide paddled us along a peaceful view of indigenous tribes who still live in huts along the river. We drank hot chocolate made fresh from bean pods for us by a cocoa farmer and slept like babies on the bus ride back to our Airbnb rental, Casa Escondida—a three-bedroom house for $20 per person a night, two blocks from the always bustling downtown area of Baños. After sleeping like hibernating bears, we headed out for the final adventure of our trip, white water rafting on the Pastaza river. We rode with a busload of college grads from the Netherlands, Germany, Poland, and Australia. The atmosphere took on a frat-party air and for a while I felt like we were back in college. We boarded rafts that cascaded down class II through IV rapids, where we watched the extreme sports guys from the Netherlands flip their boats (on purpose) and paddled down rapids while standing up. Us “old ladies” weren’t treated differently by the raft guides, who took pleasure in gently pushing us over the raft’s side with their paddles into chilly water and watched us as we rode rapids flat on our backs—our feet sticking up to rudder us. As you get older, you lose your confidence of what your body can and will do. When we were kids, before latchkey was a concept, and computers didn’t exist to rob us of outdoor experiences, we trusted our instincts and our strength. We waterskied in lakes with alligators, parasailed over the ocean—and weren’t preoccupied with things with potentially precarious outcomes. The way we were raised taught us to not be afraid. But we became afraid the longer we stayed in stressful jobs and worried about money. We drank to escape our dull and cumbersome lives. Took Ambien to quiet our busy minds. And we stopped, just plain stopped, having fun. When Laura retired last year, she declared herself “old” and consigned herself to bingo nights. Mind you, my sister looks at least a decade younger than her age and resembles Jane Fonda, so picturing her sitting around playing bingo at a senior center was laughable. After our trip, she imparted this wisdom. 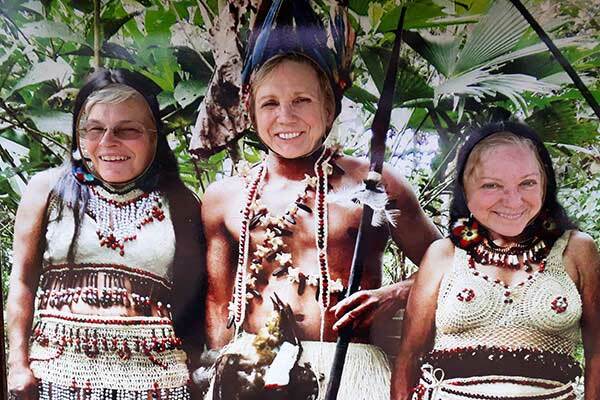 Laura, Donna, and their friend Sandy pose for a photo in the Amazon jungle. “I labeled myself old, and this trip taught me I’m not old. I can do all the things I used to do, and I have to stop living like an old person.” We call this ReWilding. It’s our journey back to becoming alive again. And we plan to do this revival of our spirits as often as we can.